Fill your days with wide smiles and the joyful music of laughter and tumbling surf along Maine’s 30+ miles of long, sandy beaches. Pick between a pile of golden fried clams or a freshly steamed Maine lobster. Thrill to world-class recreation, attractions, and entertainment. When you toss in iconic and picturesque lighthouses, miles and miles of shopping, and hundreds of welcoming places to stay made up right, just for you. This fun video tour, produced by Travel to Blank, will give you a sneak peek of the very best the region has to offer. A vacation that delivers more smiles. More answers to the question: “What is there to do around here?” More time spent really relaxing. A trip to The Maine Beaches offers all of this and so much more than you ever imagined. What a perfect welcome to Vacationland: magnificent, sandy beaches, storied lighthouses, cool shore side communities, and the best of what Maine offers. 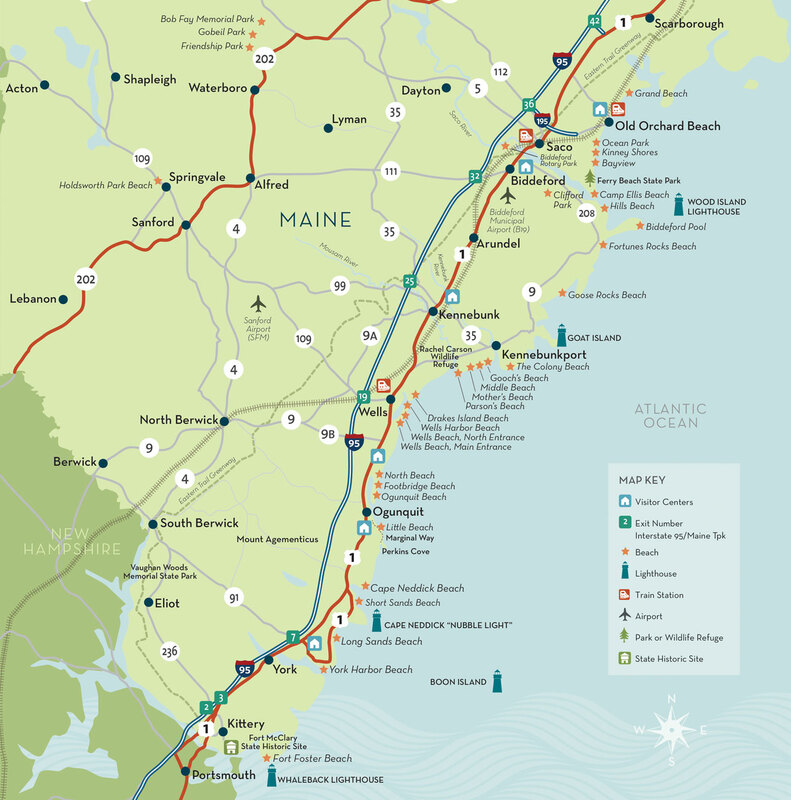 Look through the Maine Beaches Guide and you’ll start planning a vacation filled with lobster, lighthouses and long sandy beaches.